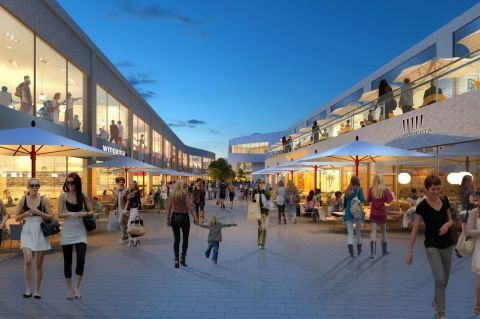 Exeter project adds restaurants, cinema and sports centre. 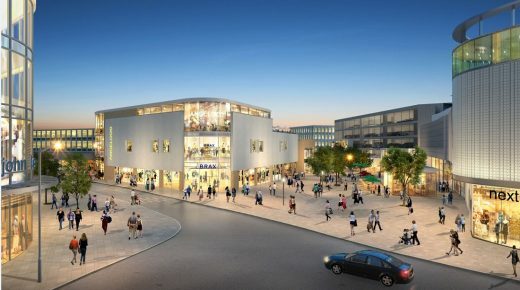 The Chief Executive of Exeter City Council has welcomed the granting of detailed planning permission for the planned £75m extension of Princesshay shopping centre. Mr Hassan said: “This decision by the planning committee is an important milestone. The details of this comprehensive scheme have now been approved, and we can now think about construction. 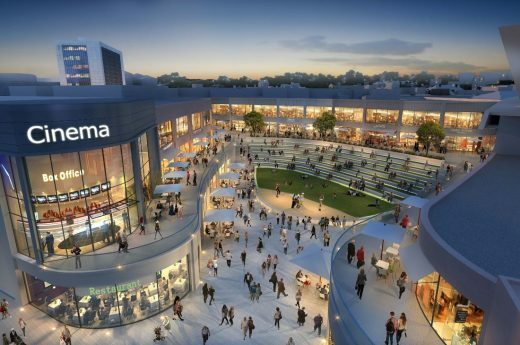 The plans, which were originally given general approval by Exeter City Council in January 2016, will see part of the current bus and coach station site transformed into new restaurants, shops, a cinema and an outdoor amphitheatre. Named Princesshay Leisure, it will sit along side ‘Princesshay’ which is a successful mixed-used city centre scheme that provides a unique retail and residential city centre development in the heart of Exeter’s conservation area. Chapman Taylor was the concept and executive architect for this Award winning scheme. Princesshay Leisure is an extension to the scheme that includes the regeneration of the existing bus and coach station site. The proposed mixed use development will provide additional retail and leisure facilities, a new bus station and a new Leisure Centre that will be developed by Exeter City Council. The new scheme represents an opportunity to create a modern gateway to the city centre in a prominent strategic location in need of regeneration. A central public space will provide public realm within the heart of the development whilst a series of new pedestrian public streets and open spaces will improve connectivity through the expanded city core. 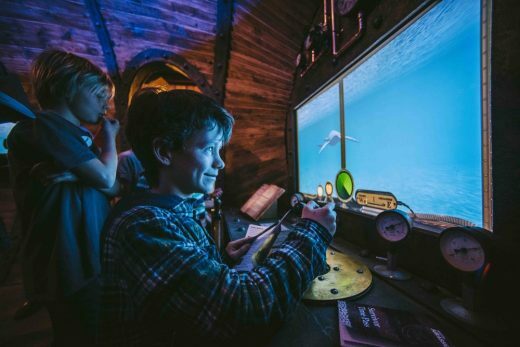 “Exeter’s innovative city centre redevelopment is the latest in a series of Chapman Taylor projects transforming the face of Britain’s cities and towns. The regeneration of 5.25 hectares of Exeter’s historic city centre completes in September 2007 with the opening of the new £235 million Princesshay development. Chapman Taylor, the design architects and responsible for the city centre’s masterplan together with Turley Associates, has created a distinctive environment to reinforce Exeter’s position as one of Britain’s greatest architectural jewels.